Manager Stevie McLeish sensationally quit Newtongrange Star – then posted his resignation letter on the club’s Facebook page. McLeish, who had been in the role for two and a half years, resigned after the 3-0 defeat to Hill of Beath last week and cited in an explosive letter a number of concerns he had, including staff and player wages being seven weeks late. The club have said all payments of wages are now up to date. In his scathing assessment, McLeish also criticised the club’s committee for a lack of “general support for the team” and the “incompetence” at the handling of appealing two red cards against Arniston Rangers received on December 29. The Star say this was an administrative error. McLeish added that the decision had been made with a “heavy heart” as he had “genuine affection” for the club but “could no longer work under these conditions”. He said: “The players, members and supporters are, in my view, being let down and have been for sometime now. The Star have since appointed former player and coach Colin Affleck and Jamie Birrell as co-managers following their 3-0 win over Dunbar United last Saturday as they look to move on and focus on continuing what has been a promising season. 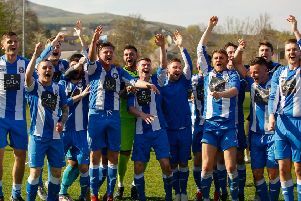 Newtongrange Star president Joe Wilson told the Advertiser: “There was a breakdown in the relationship between the manager and the office bearers. “We have accepted Stevie’s resignation and we wish him well for the future. It’s disappointing the way it has ended but we will move on. “There are always two sides to every story but I don’t want to get involved in a war of words. “We have appointed Colin Affleck and Jamie Birrell and they will take care of first-team affairs. The East of Scotland outfit will also hold an EGM on February 5 with members to quell speculation and give clarity over the future direction of the club after takeover talks with a local business man broke down at the end of last year. Terry Healy, managing director of his construction company, made an informal offer to buy the club but withdrew it soon after as he felt his bid had received “mixed views” from the committee. On footballing matters, Nitten lie in fourth position in Conference A and will hope to be in the top five come the end of the campaign to qualify for the new Premier Division next year. This weekend they are up against Hawick Royal Albert, whom they beat 9-1 earlier this season. Hawick are currently second bottom level on points with Peebles Rovers.